Mexico - Playa del Carmen: 4 Reasons Why I Decided To Move In There Very Soon! Mexico – Playa del Carmen: 4 Reasons Why I Decided To Move In There Very Soon! Playa Del Carmen: The Ultimate Spot for your Holidays in Mexico! You still don’t know where to book your upcoming summer holidays and you were thinking about heading to South America? Let me tell you something.. If you follow my blog regularly, you should know by now how much I LOVE beaches and paradise-like places. If you didn’t know, well..now you do! I’m crazy about anything involving turquoise seas and water activities. BUT, I haven’t been to Mexico yet. I know, I know… It’s a shame, and I thought about going so many times, so it goes without saying that I’m planning to visit Central and South America as soon as possible! One month ago I bought a one-way ticket to Cancun /Playa Del Carmen 🙂 I also found a lovely apartment and I will be moving in there for a few months starting from October 2016. More blog posts coming soon of course. As you can see, I always keep my promises! In the meantime, I decided to publish this guest post about the beauty of Playa Del Carmen, to let you (and me) drool over a place I’ve heard about so many times from other travel bloggers, who mentioned its beauty and chilled out atmosphere. So I want to let you know that if you decide to finally head there for your 2015 holidays I’m going to be very jealous! I usually accept posts of regions/countries that I’ve never visited myself, only at the condition that I have them already on my wish list and I’m crazy about the idea of visiting them! My aim here is to try and inform you on specific destinations as well as writing about my adventures on the road, and I can’t wait to add my very own articles on Playa del Carmen and Mexico in general! WHY IS PLAYA DEL CARMEN SO SPECIAL? Well, at least according to the many people who’ve been lucky enough to visit thus place! If you want to holiday in paradise this year then come on over to Mexico and visit the exotic resort of Playa del Carmen where you can enjoy stunning beaches, warm waters, sizzling sunshine and plenty of entertainment to keep you busy throughout your stay! You can see for yourself by checking out the most popular activities and related reviews on TripAdvisor. 1 | PERFECT FOR EVERYONE! Located on the southeast coast of Mexico, Playa del Carmen is perfectly situated on the Caribbean Sea, so you can enjoy amazingly soft white sand, clear warm waters and beautifully clear skies that let the sun shine all day long without any interruptions! This is the perfect place to relax and forget about the worries and stresses that come as standard with everyday life. 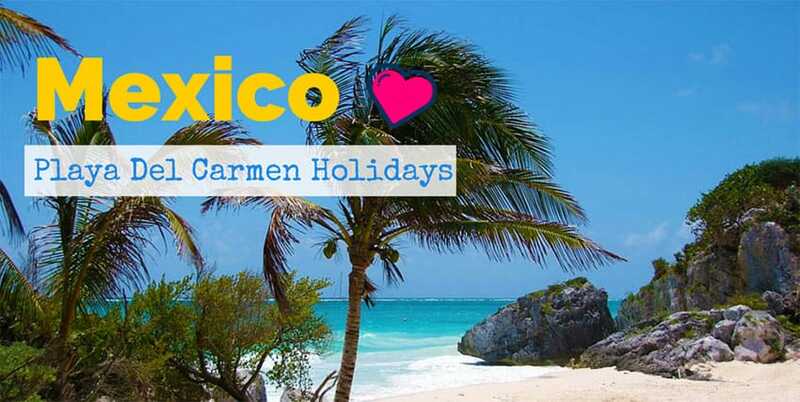 If you love beach holidays then you’ll love what Playa del Carmen has to offer! This wondrous resort is home to one of the most beautiful beaches in the whole of Mexico and once you have seen it for yourself, you will understand why! Note from me (Clelia): I can’t wait to understand why in person, but I’m getting a pretty clear idea by just checking out the pictures! I’m definitely falling in love with this place! Stretching along the coastline, this stunning example of an exotic beach is not only long but also generously wide, so you won’t have any trouble finding the perfect spot for yourself and the family even in the busy summer months as there is plenty of room for everyone! 2 | A PARADISE FOR SCUBA DIVING AND BEACH LOVERS! 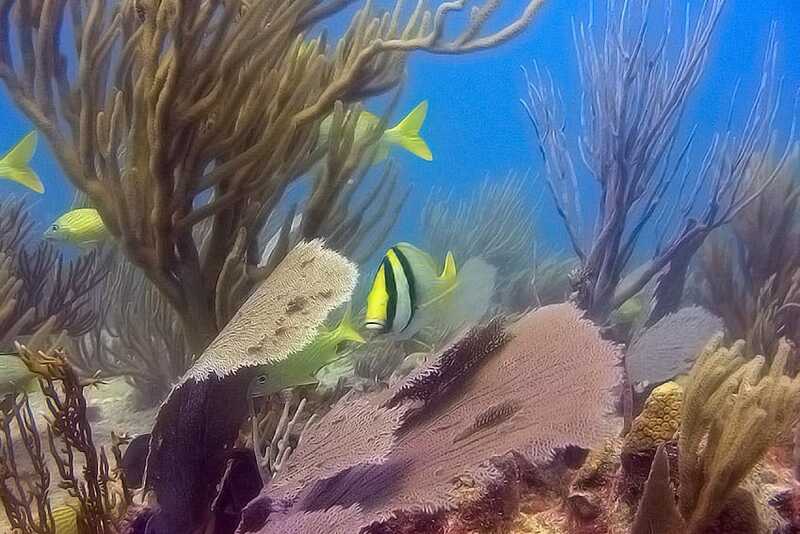 The beautiful water that the sand slopes into is warm, turquoise in color but also crystal clear, so you can see exactly what’s going on under the surface and observe some of the amazing sea life that dwells beneath the surface. If you would like to get a closer look at the undersea world, why not book some diving lessons and go right down to the source of the wonder and view some of the colourful reefs that are teaming with life just off shore. If you want to enjoy the water but don’t fancy going all the way down, why not just go for a swim or if you’re feeling a bit adventurous, try out some of the other water sports that are available in the peak seasons including jet skiing, parasailing and banana boating! 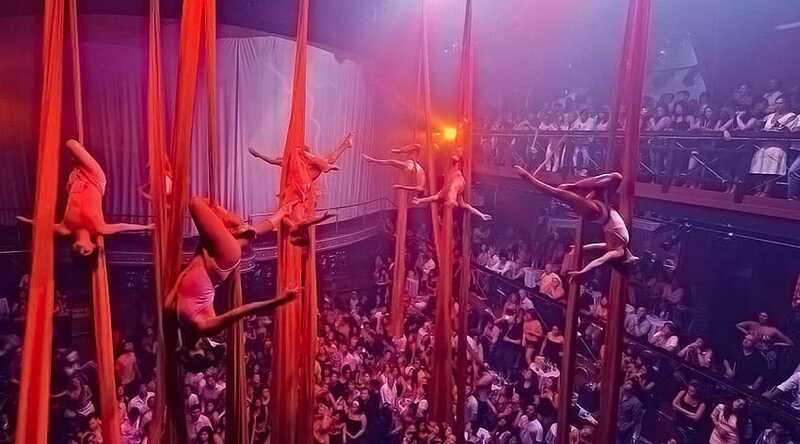 For evening entertainment, if you love the nightlife scene then you won’t be disappointed as Playa del Carmen is also great for clubbing holidays thanks to its broad selection of lively bars and clubs! 5th Avenue is where you will find the popular shops in the daytime, but when the sun goes down, this is where you will want to be for the nightlife scene! Here you will find everything from live music to varied music from different cultures and, of course, the popular clubbing genres. Although the resort is a little laid back compared to the rowdy resort of Cancun, the nightlife is still excellent! 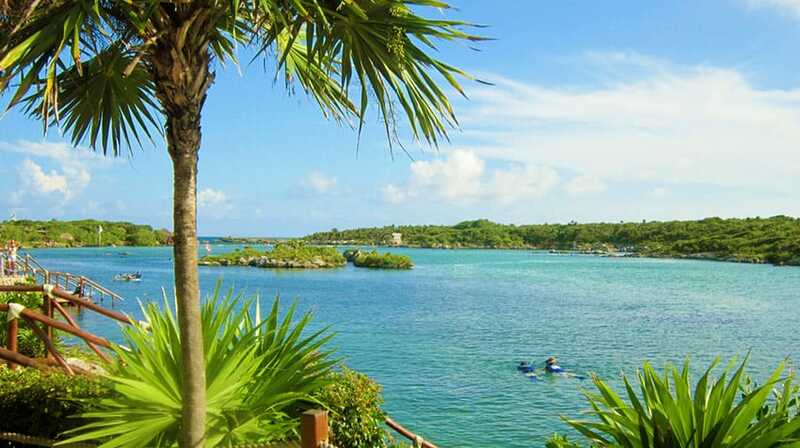 If you appreciate nature and history then you’ll want to be heading to Xcaret! Check out the link to their official website to collect all the info on the park, with the special tours, main attractions, offers and a smashing photo gallery! This fascinating site is both ecological and archaeological thanks to its spectacular range of wonders both natural and man-made. Here you will find ancient Mayan Ruins, underground rivers, butterfly houses and you will even get the chance to swim with dolphins! This really will make it a holiday to remember! Not a surprise that it’s the #1 attraction voted by more than 13,000 users on Tripadvisor! Want to see the reviews for yourself? So now it’s over to you! Have you ever been to Playa Del Carmen? Is there something else you might want to add? Leave me a comment below! We spent a week here passing through on a long travel around Mexico. You’re right about all the spots. We didn’t quite get the nice photos you have here, but ah who doesn’t just love Mexico?!! !